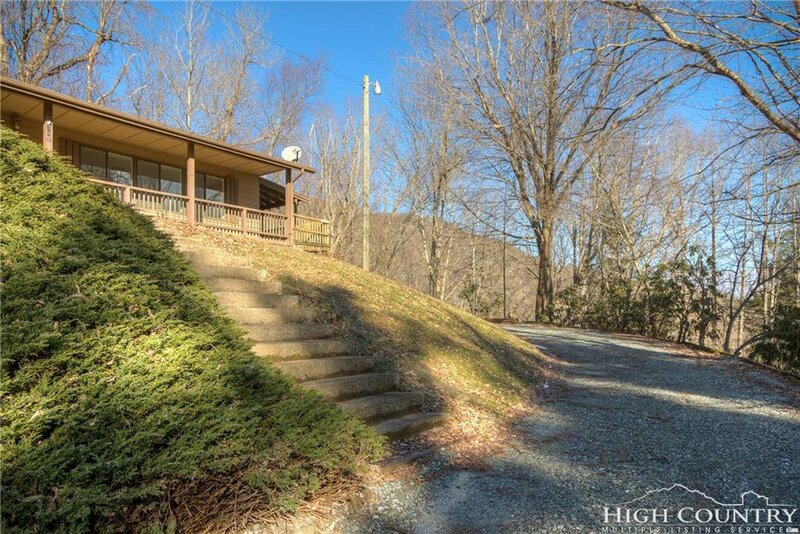 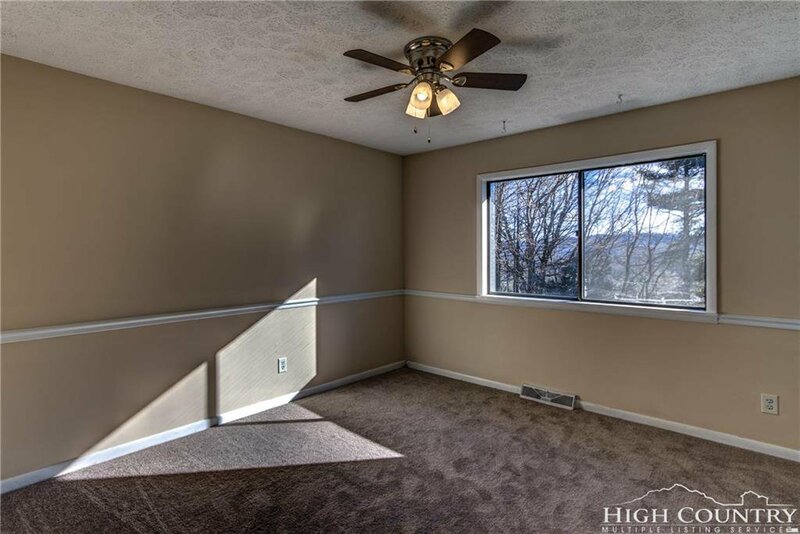 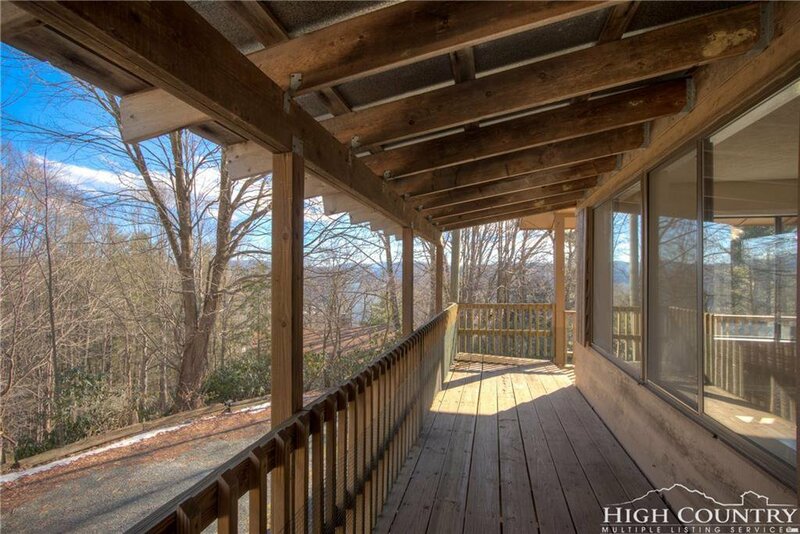 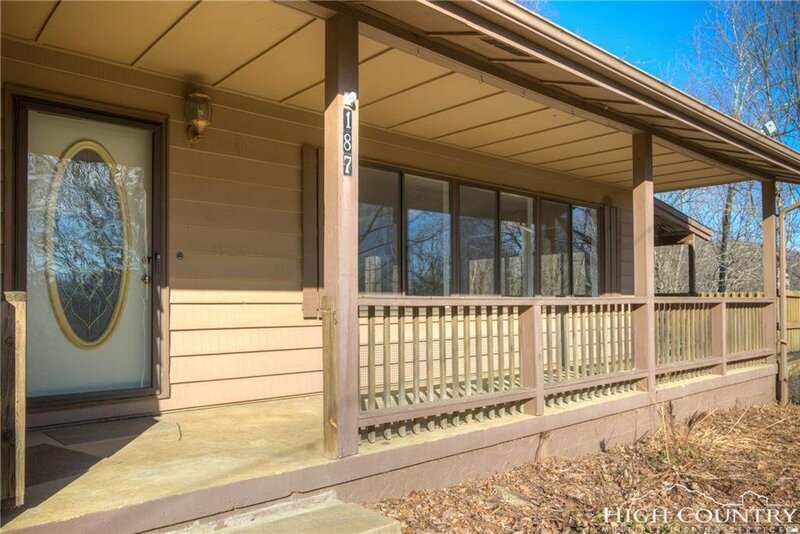 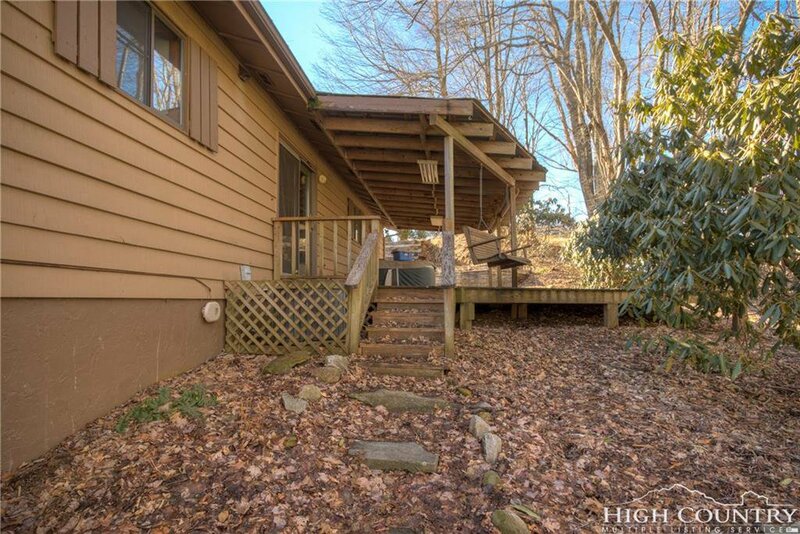 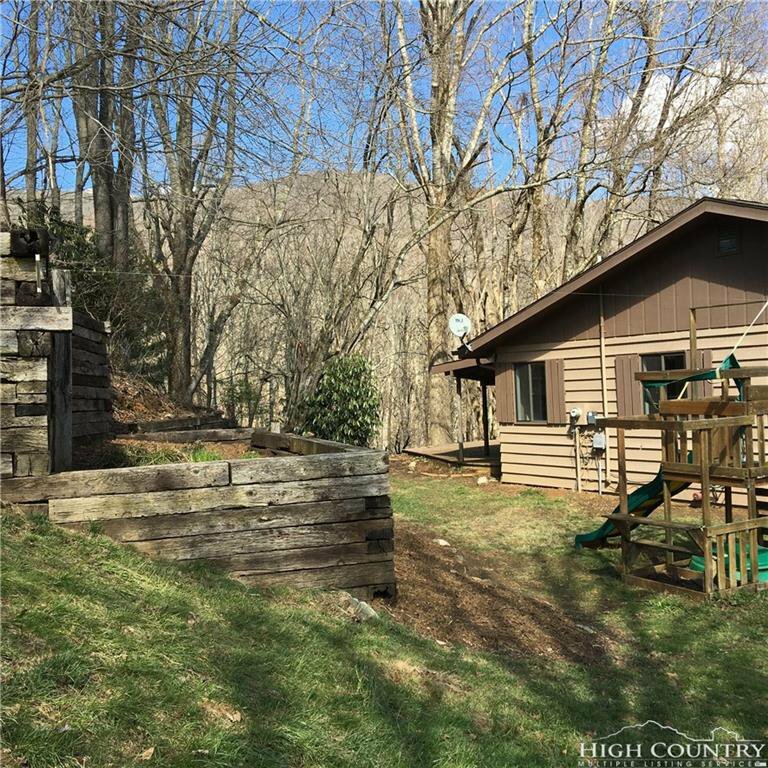 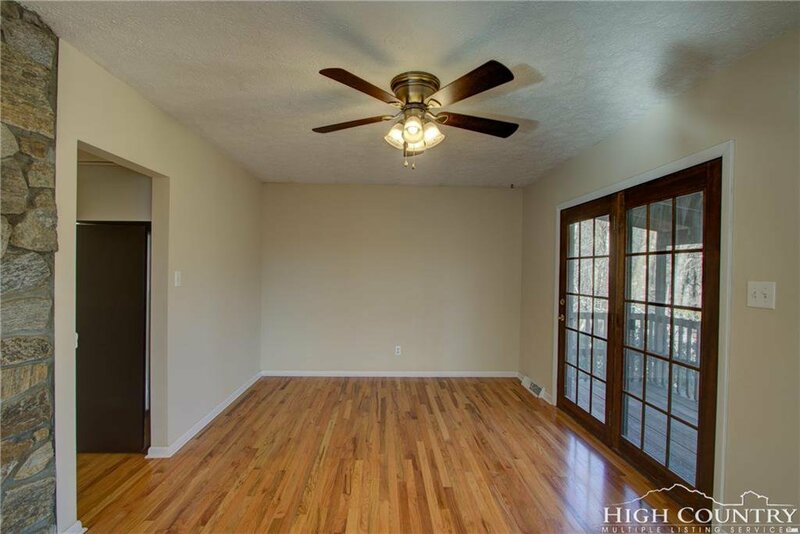 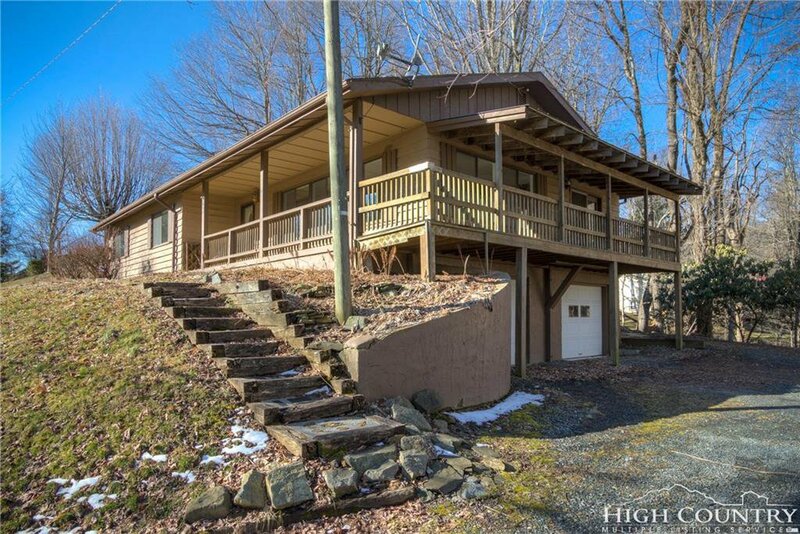 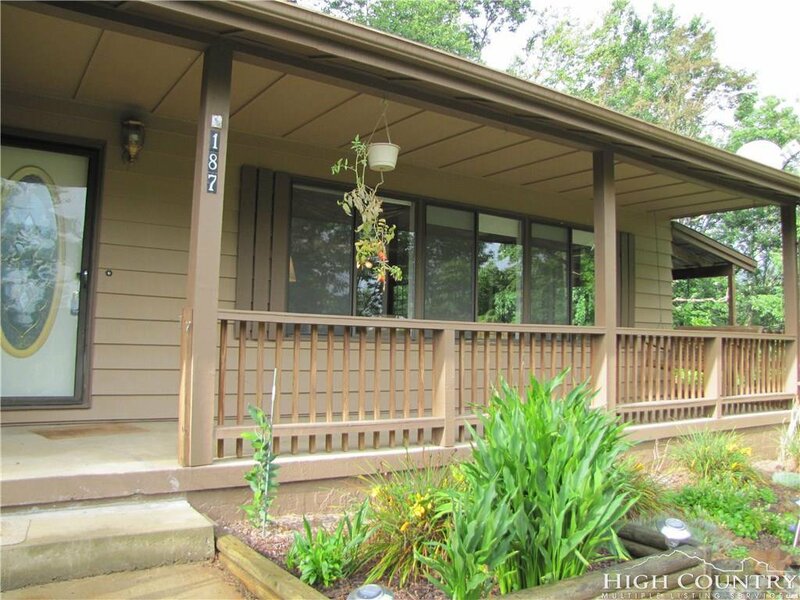 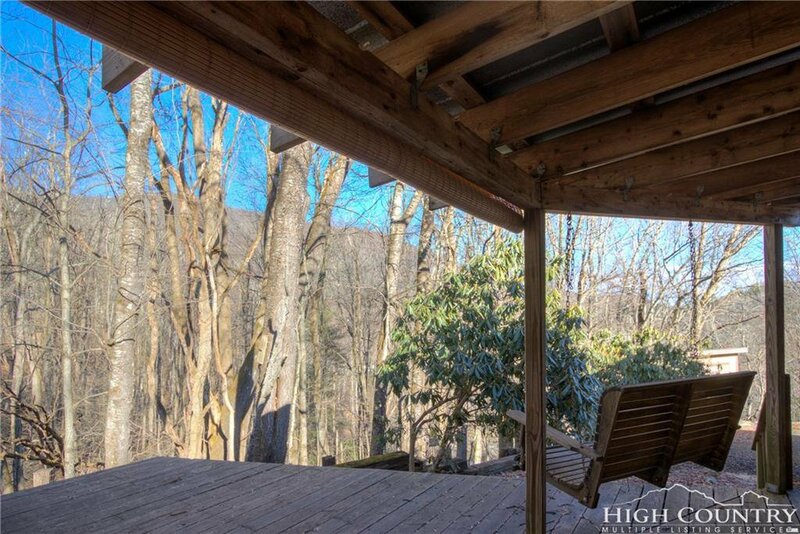 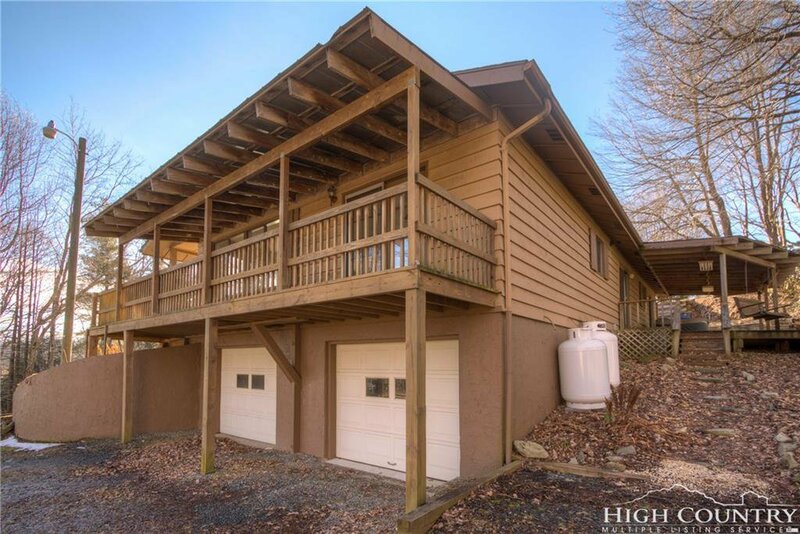 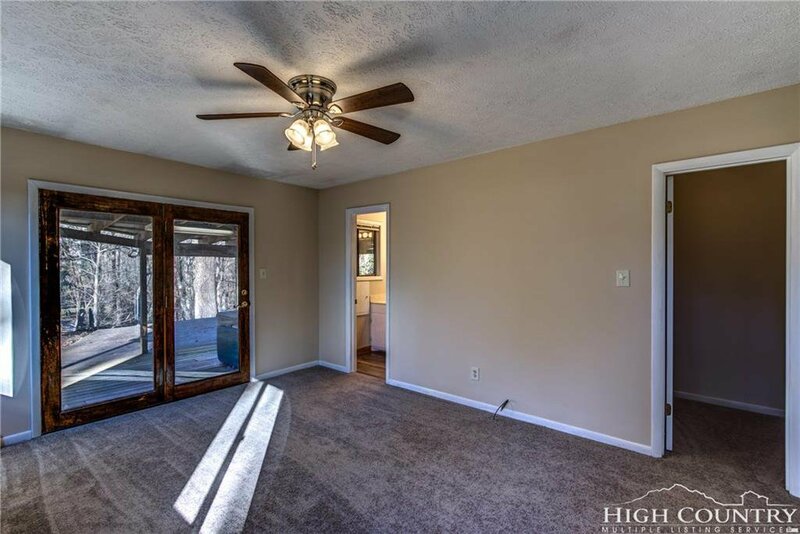 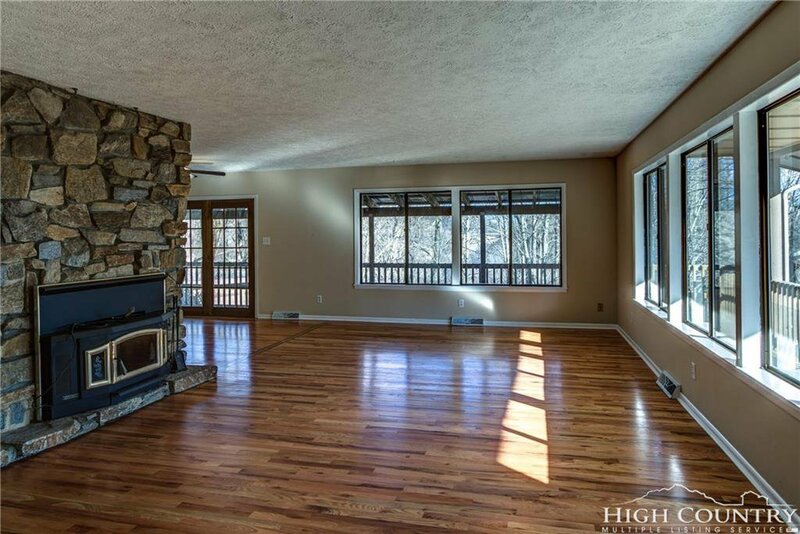 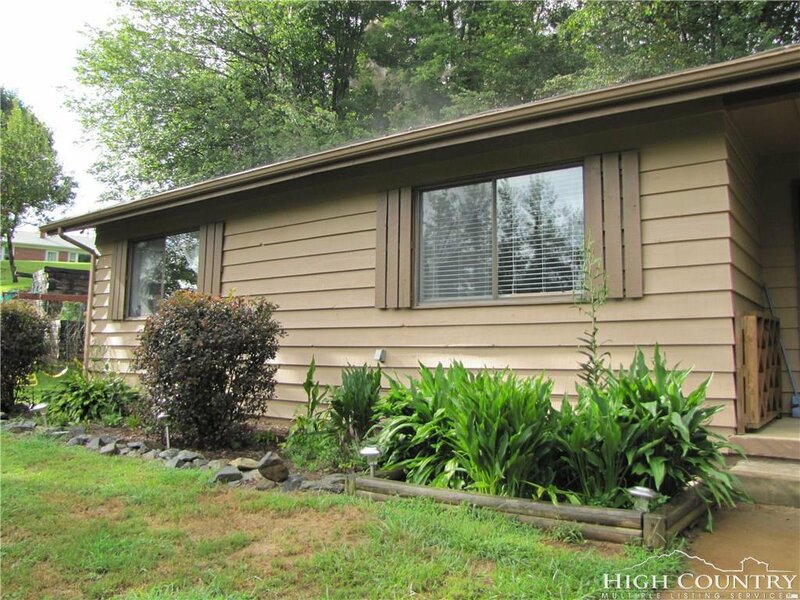 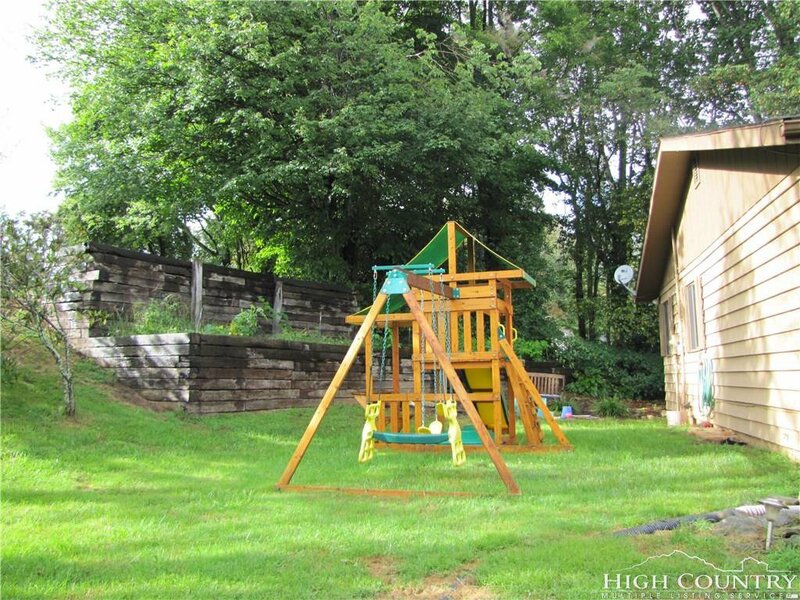 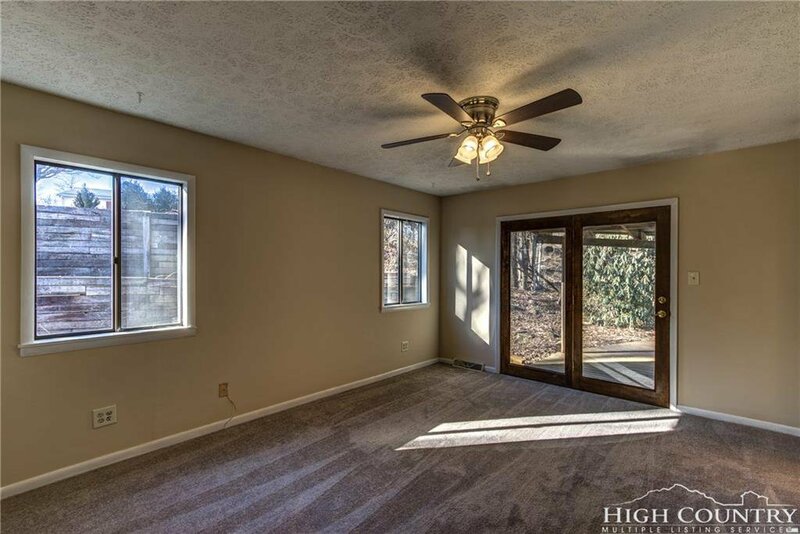 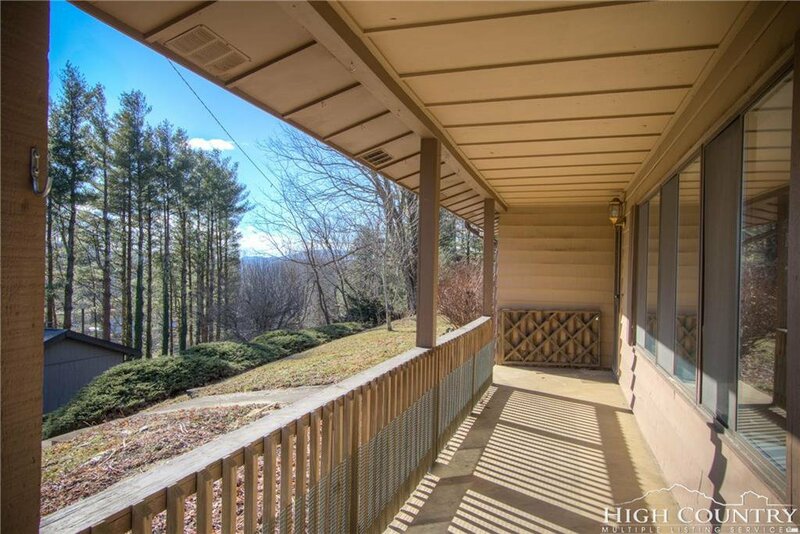 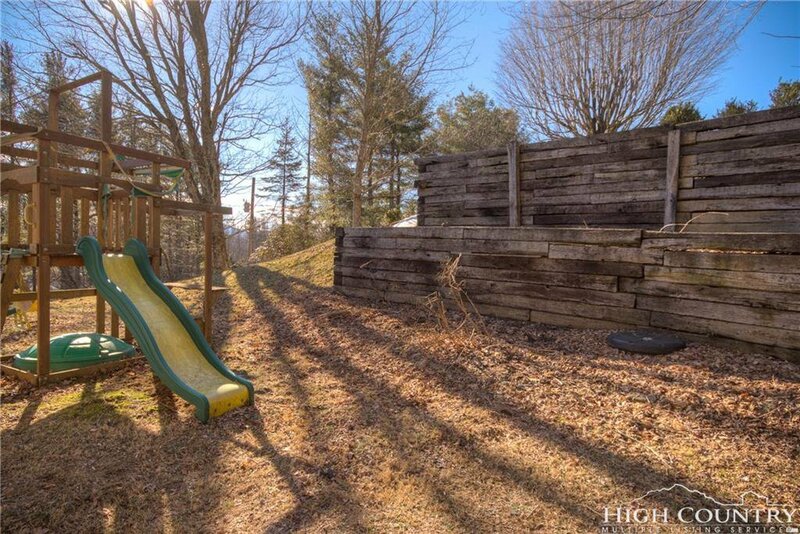 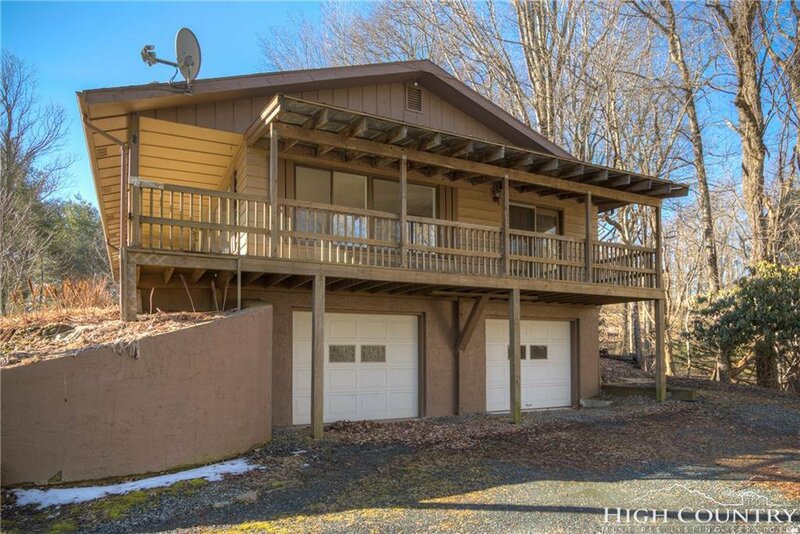 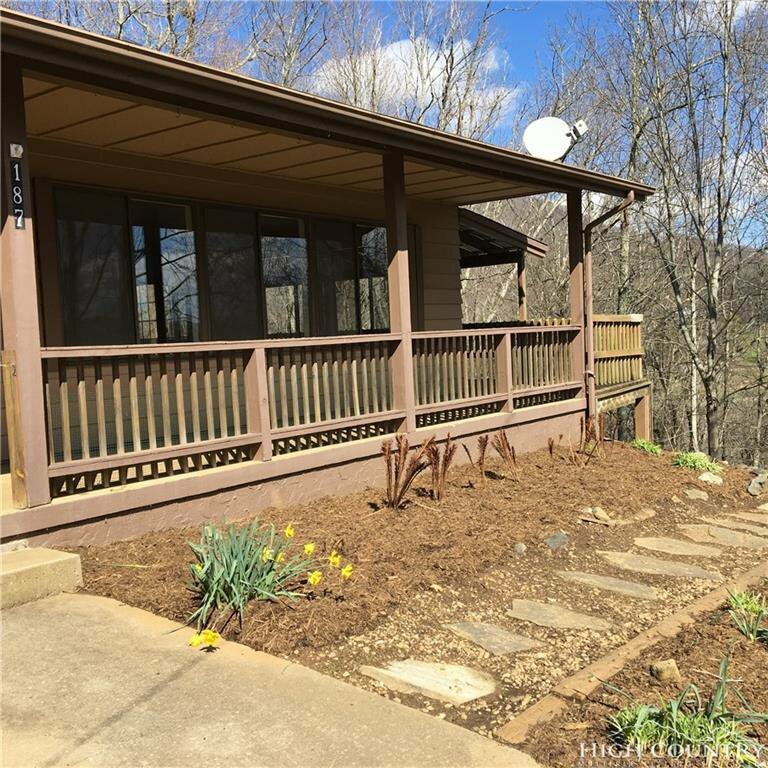 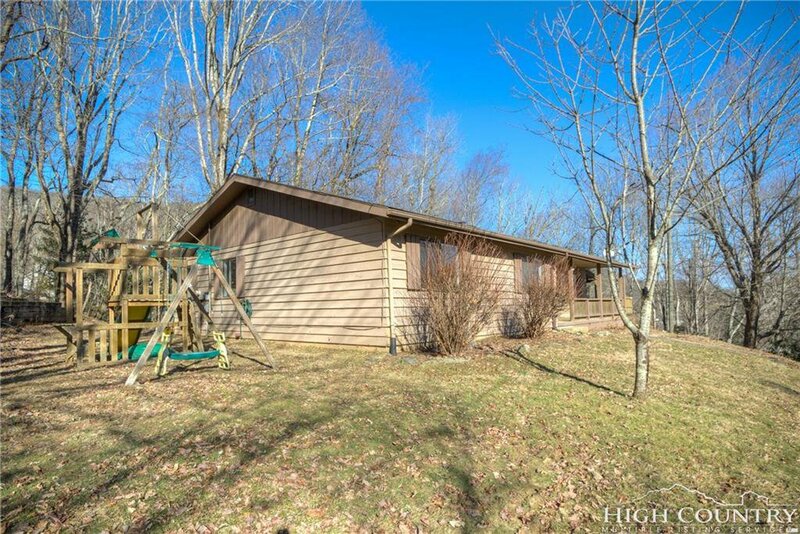 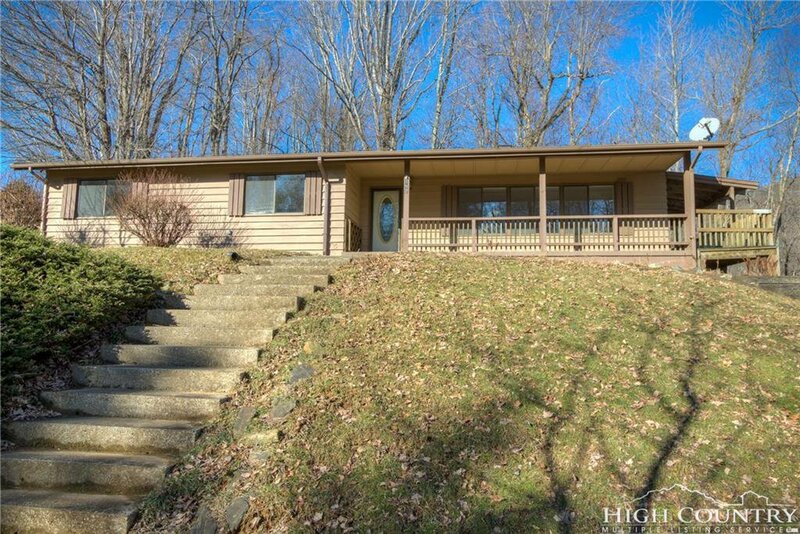 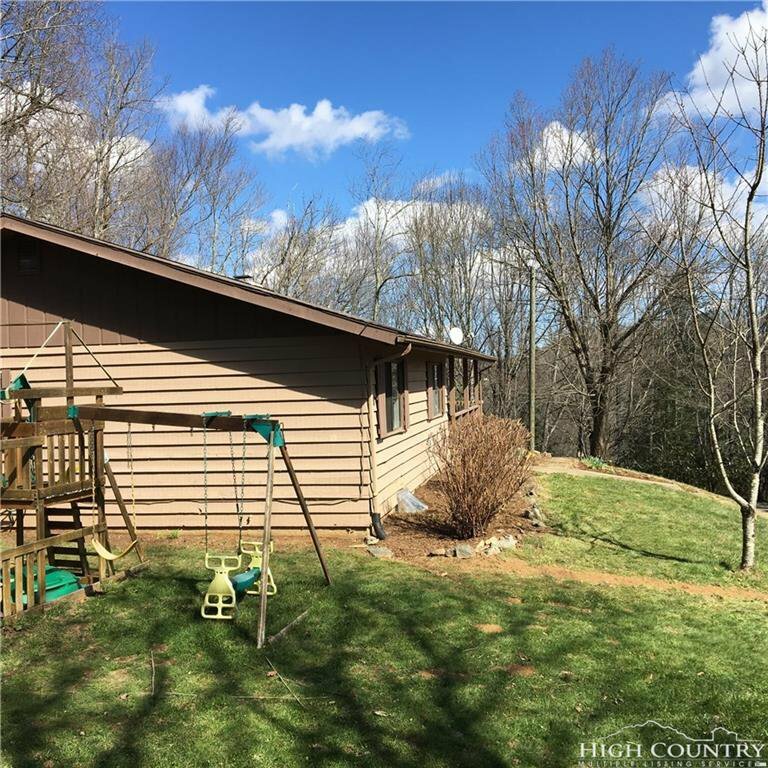 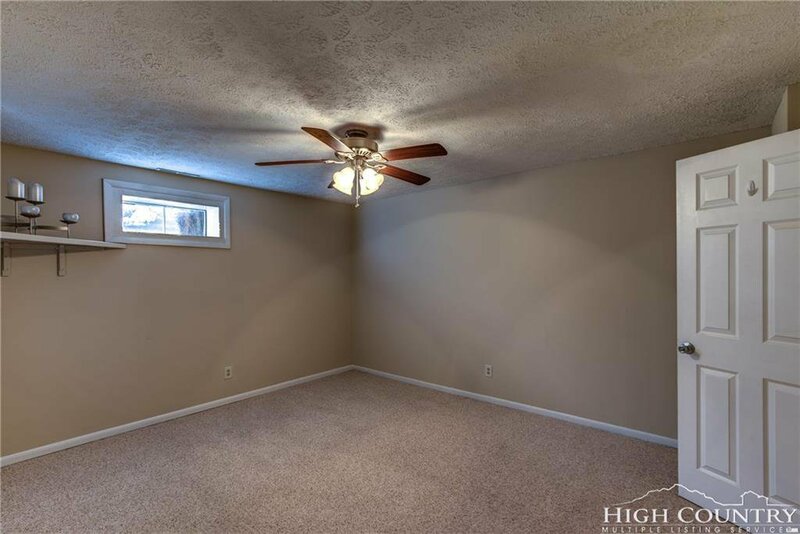 Spacious home located just minutes from downtown Boone and Appalachian State University. 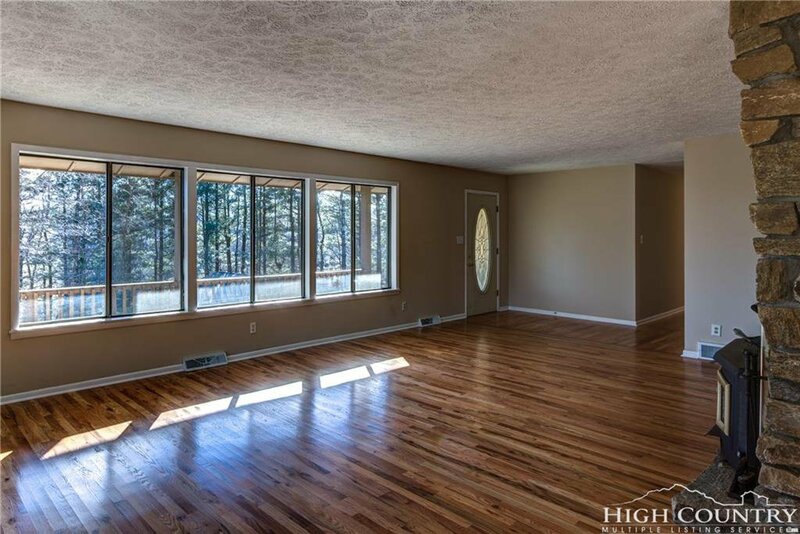 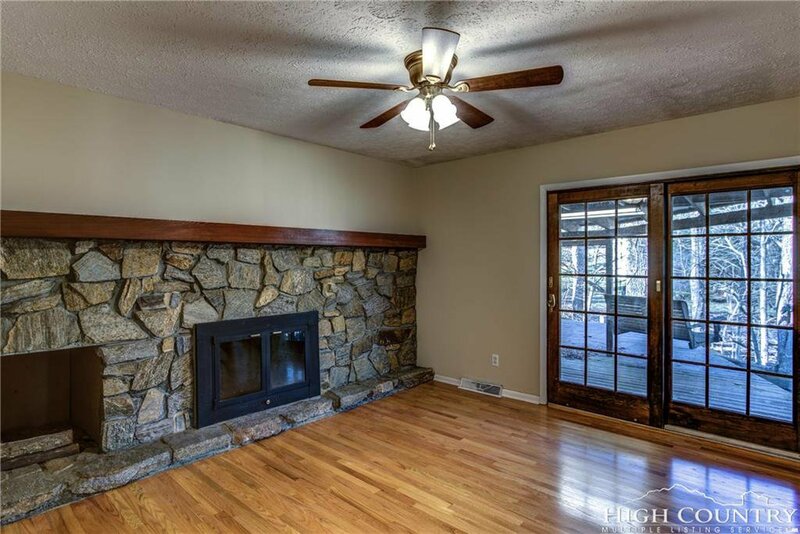 A wall of windows keep the living and dining room light filled and a stone fireplace with wood stove insert to keep you toasty on those cold winter nights. 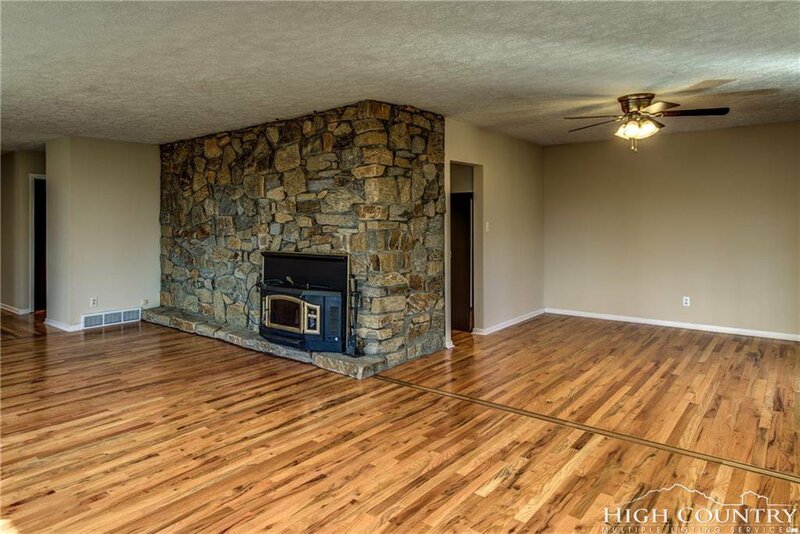 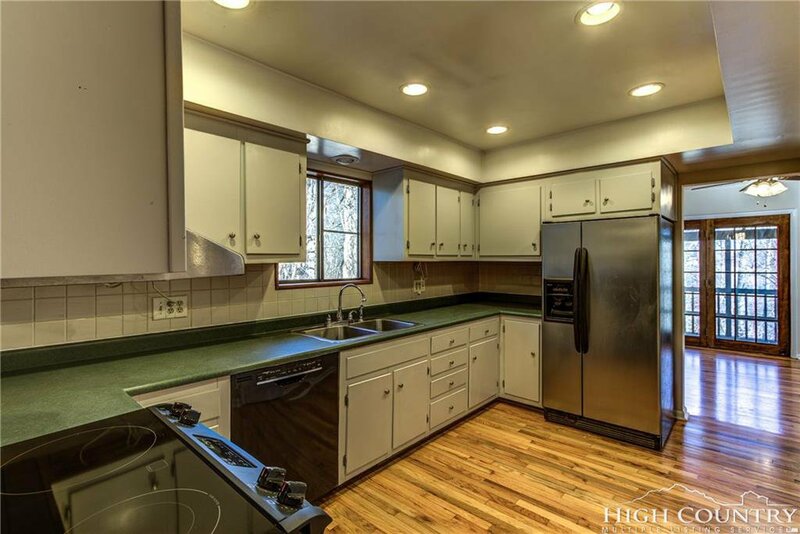 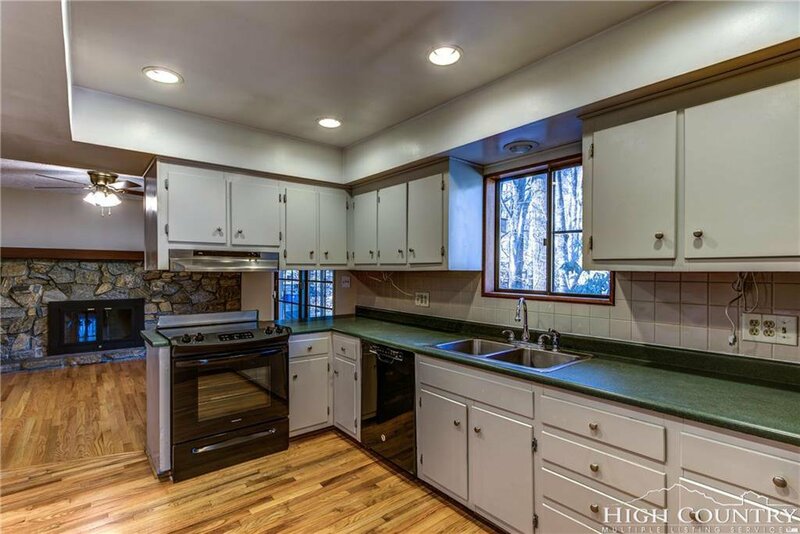 The kitchen has a new stove and newer dishwasher that is open to a small den with another stone fireplace. 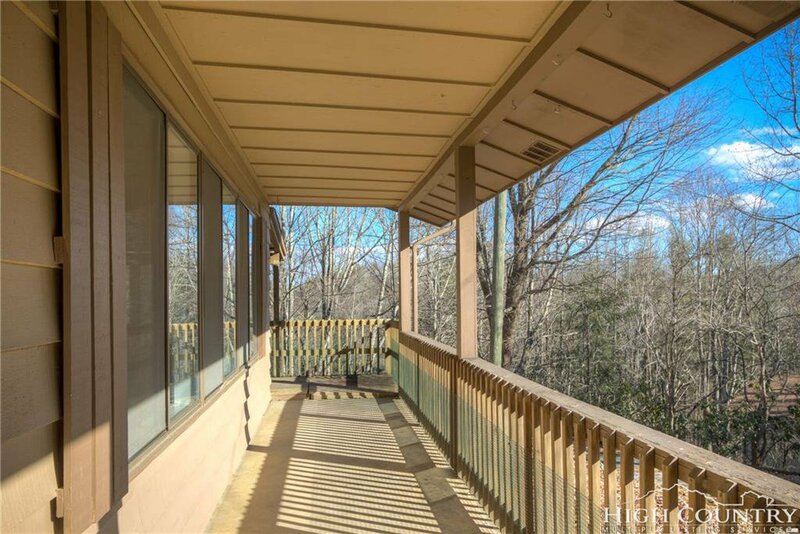 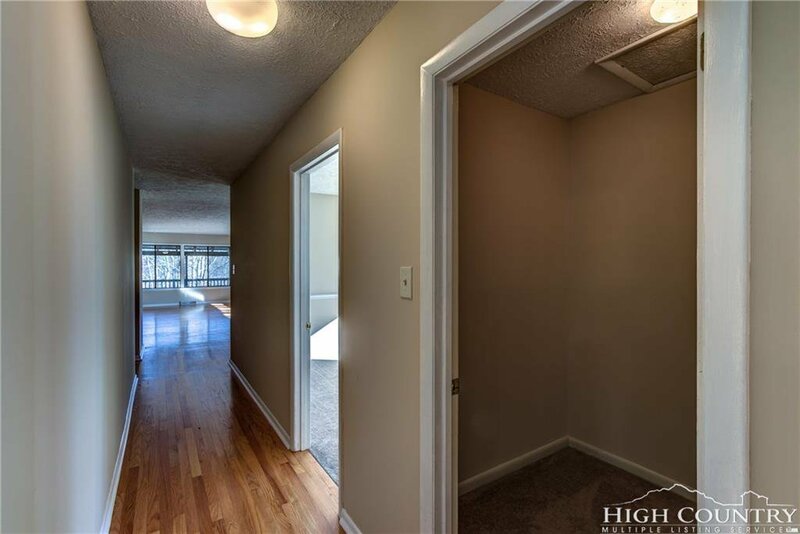 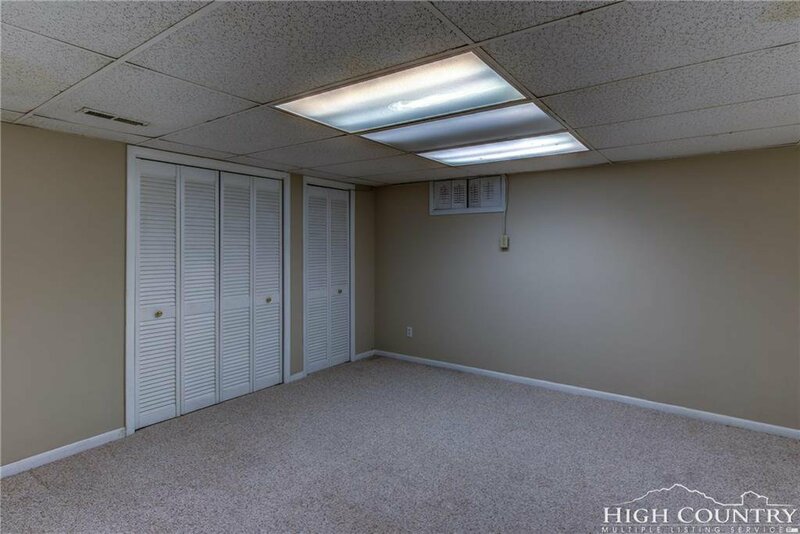 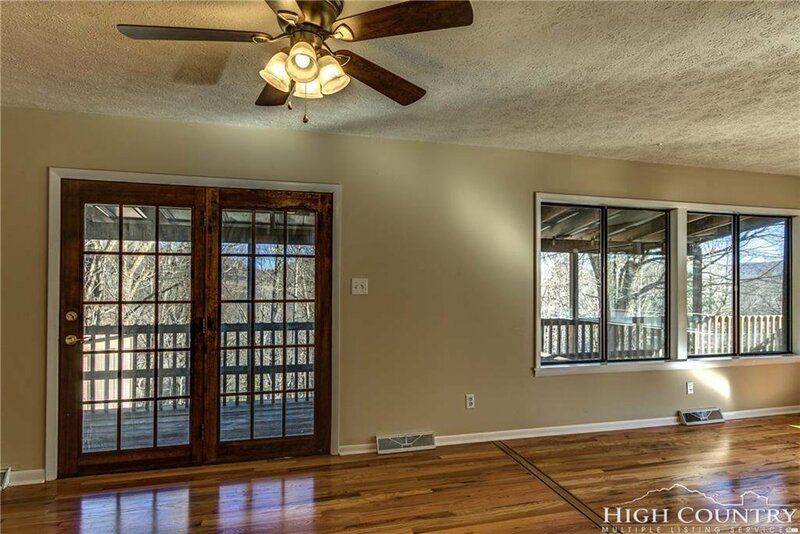 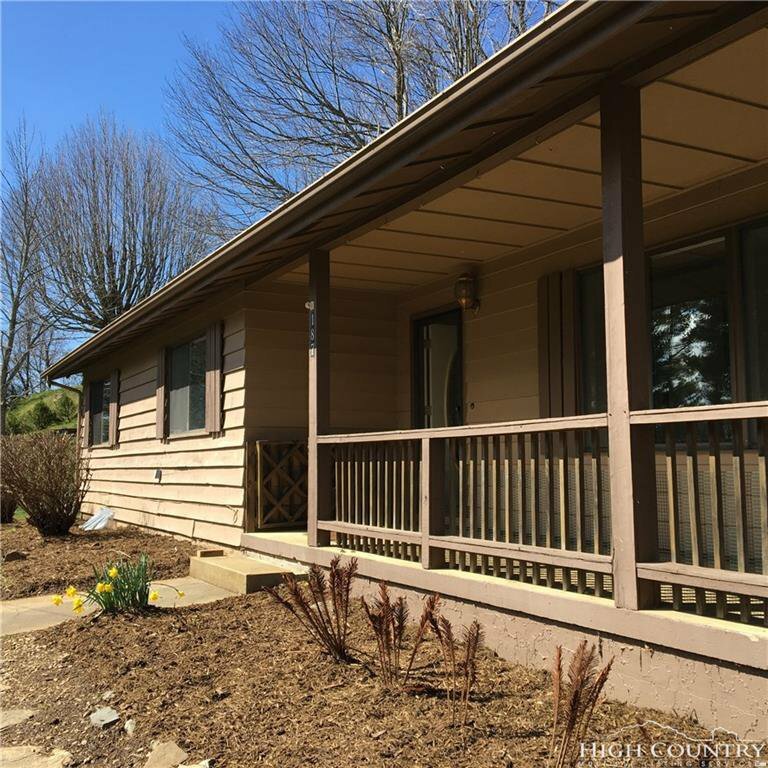 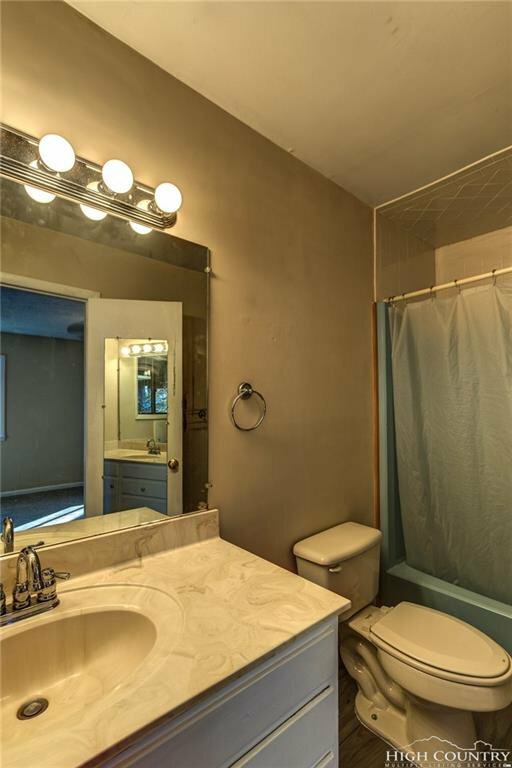 There are two bedrooms with a shared bath and a master suite with french doors that lead to a private covered deck. 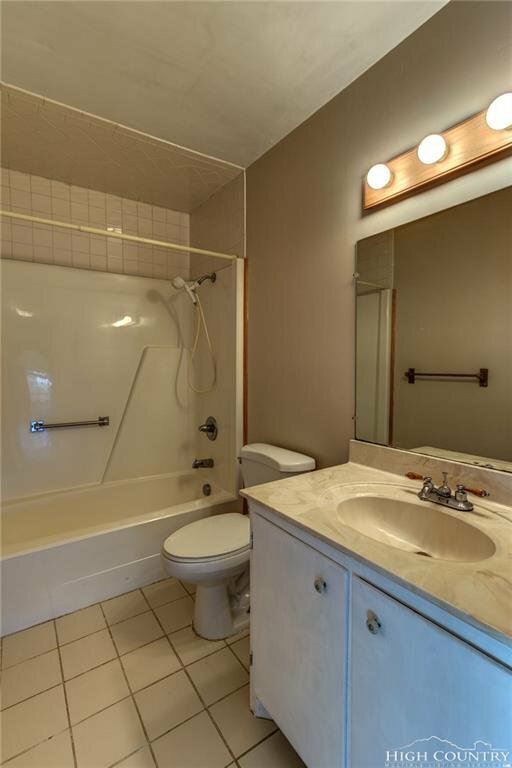 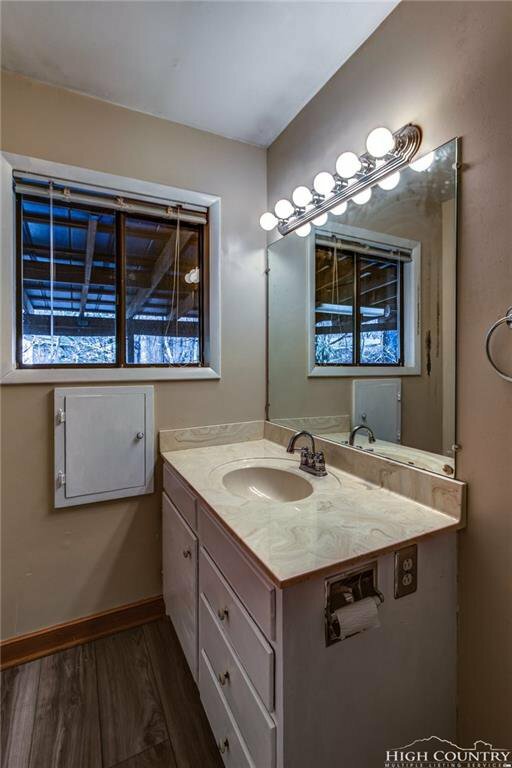 Downstairs has a large den, workout/studio room and suite with full bath that was used as a bedroom in the past (3 bedroom septic system). 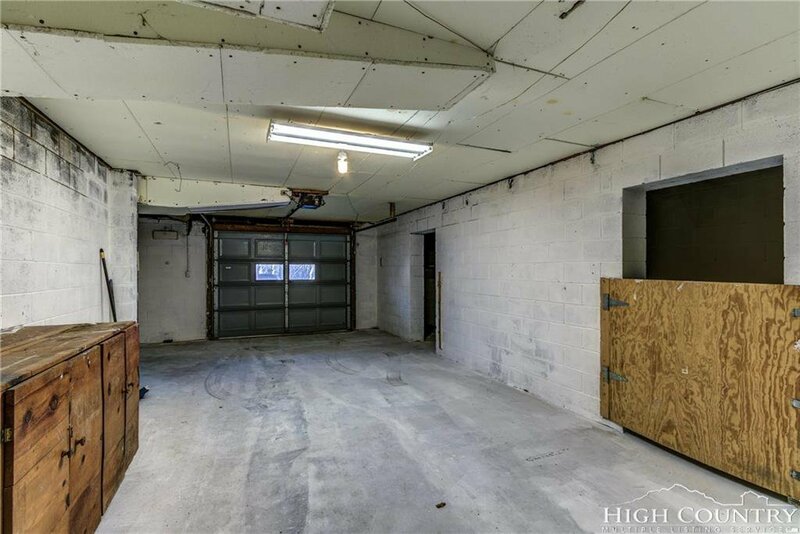 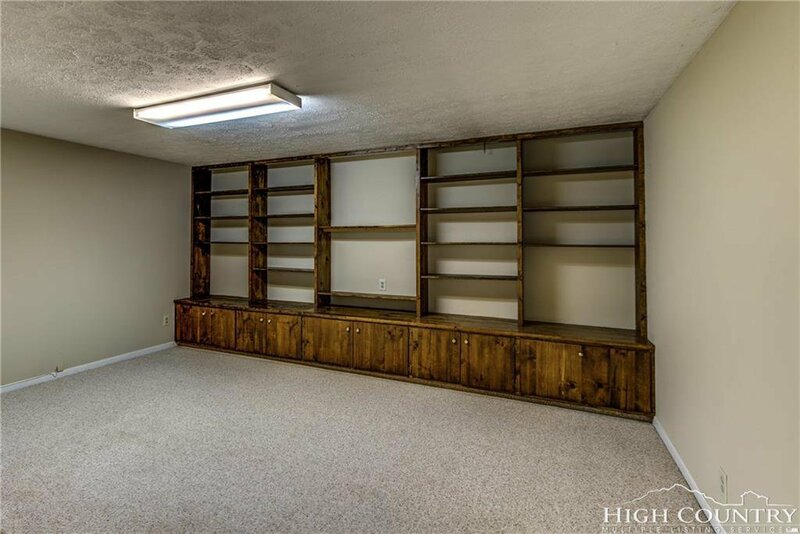 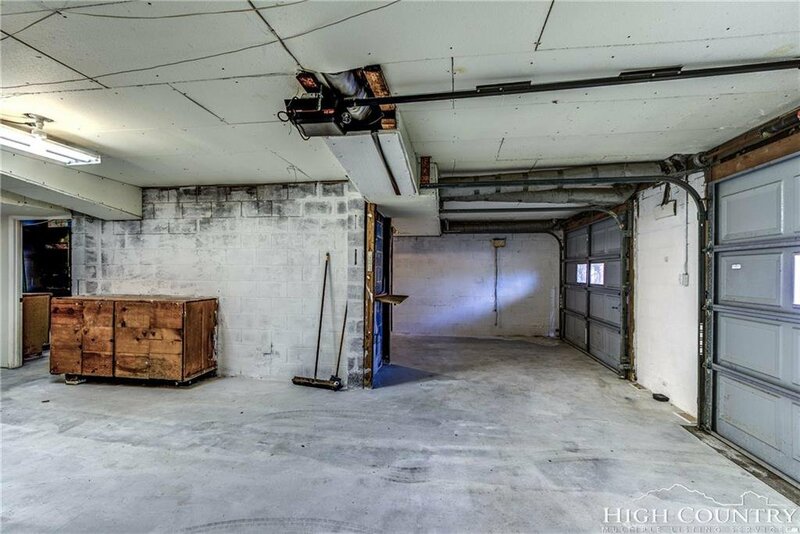 Storage is abundant with 2 car garage, workshops area and custom built shed. 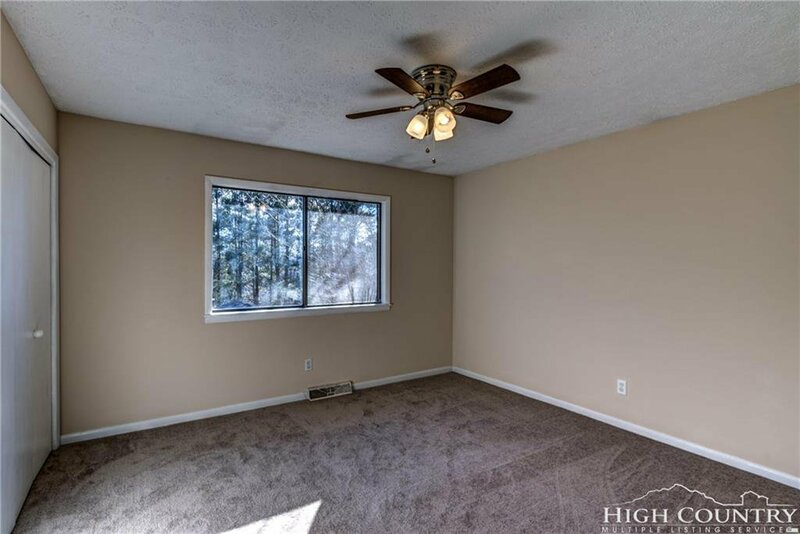 Recent improvements: New furnace with air-conditioning, newer dishwasher, new stove, interior paint, bedroom carpets, ceiling fans and master bath flooring. 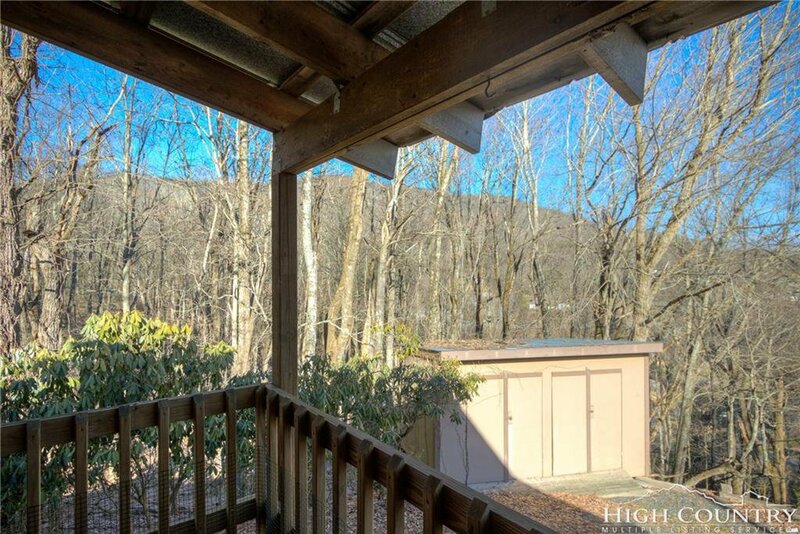 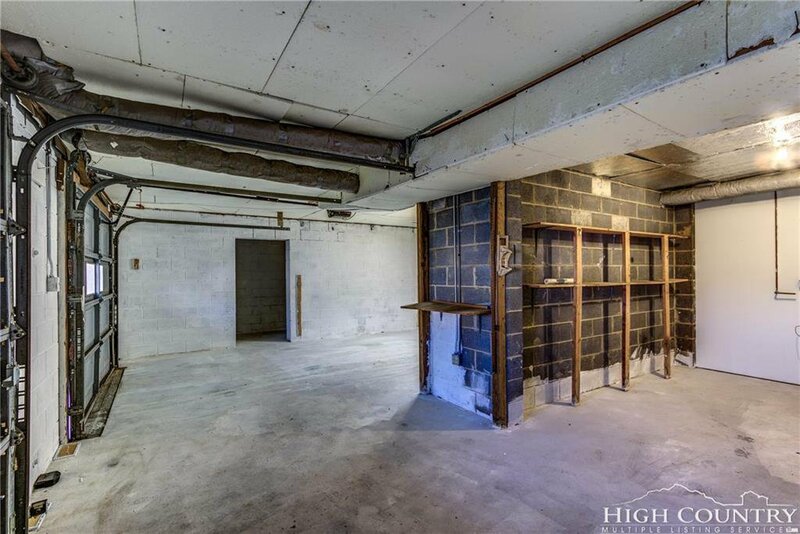 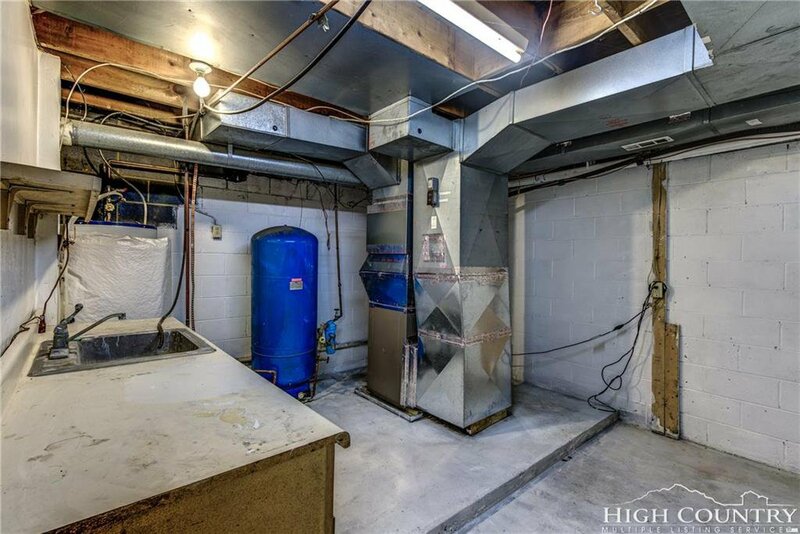 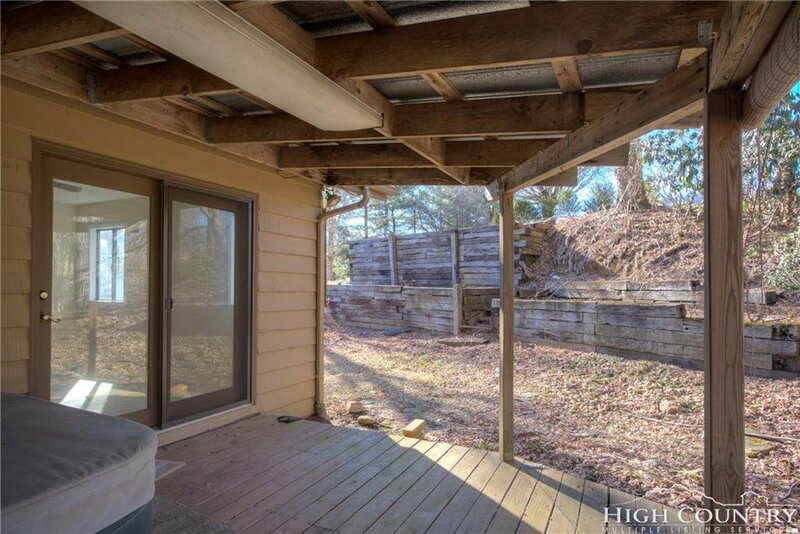 Student rental potential with an Appalcart stop located at the end of the road. 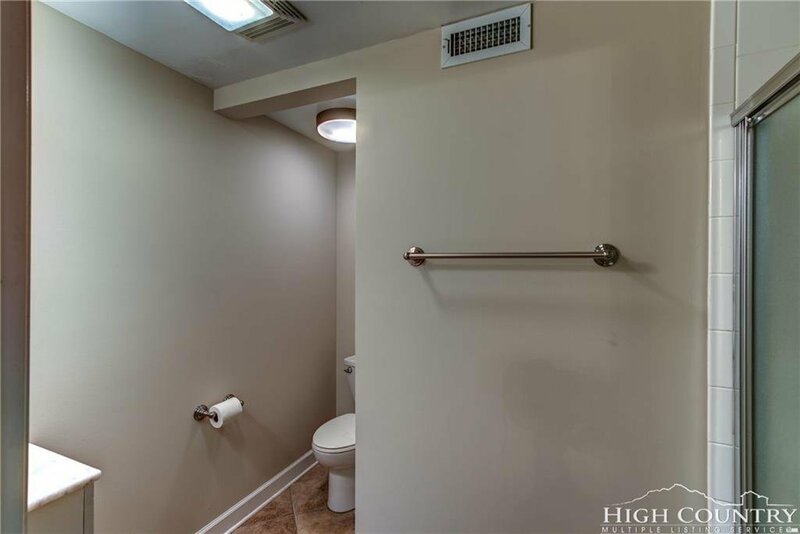 Great location and move-in ready.